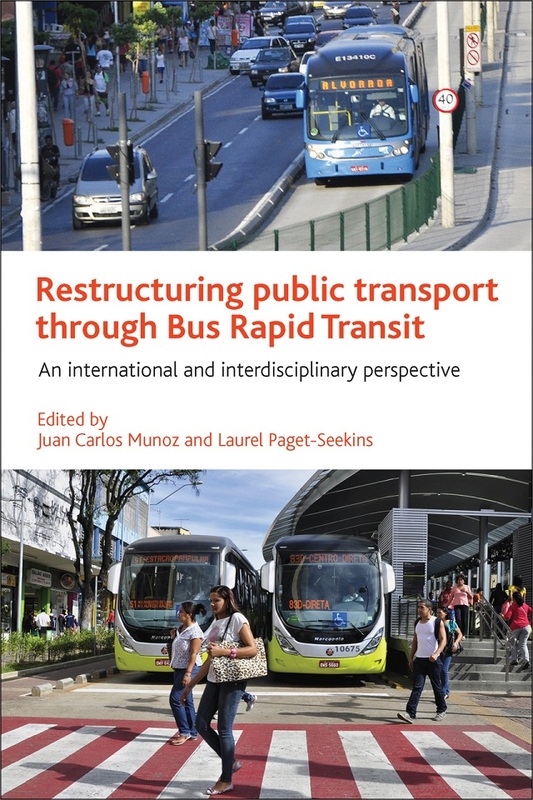 On January 11, 2016 the BRT Center of Excellence launched a new book called “Restructuring Public Transport through Bus Rapid Transit.” The new resource provides researchers, students and decision makers an overview of how cities can effectively implement BRT in a variety of contexts to solve local transport challenges. “The goal of this book is to illustrate the opportunities BRT provides along with our research, addressing the challenges of meeting this potential,” said Laurel Paget-Seekins, Director of Strategic Initiatives of the Massachusetts Bay Transportation Authority. To learn more about BRT trends, TheCityFix talked with the editors of the book, Juan Carlos Munozand Laurel Paget-Seekins. Drawing on their work, the two offered us their insights on some of the major questions facing BRT moving forward. This is part two of the interview. Read part one here. What role do you see BRT playing in the development of sustainable cities? The promise of BRT is that it can serve as a catalyst for reshaping urban space and embedding sustainable transport into the fabric of the city. As a surface mode it requires space, and in order to provide high quality service, that space has to be dedicated to public transport. This means clear prioritization for public transport vehicles and their users, including pedestrians and cyclists, in the design and enforcement of public street space. Prioritizing surface public transport means deliberately challenging the use of surface space by cars—either in traffic or parking lots. Very often in cities where public transport is underground or elevated (i.e. Metro), the streets are left for cars. By reallocating street space, BRT can make car travel less attractive and public transport a more competitive and visible alternative. However, the prioritization of the movement of people and not cars is also the most controversial and politically difficult aspect of BRT. Since BRT invests in infrastructure, including dedicated lanes and pre-boarding stations, it indicates a commitment to high quality public transport service. While one benefit of the bus is its flexibility, this flexibility can mean service is easily moved or cut. BRT on the other hand indicates a level of permanence for service. This permanence (sending a message of presence and visibility) is necessary to shape transit oriented land use, which can help build ridership long term. This can occur regardless of the level of development of a city or the existing public transport network. What would you say are some of the major take-aways from the book? There is a general sense that BRT is a key tool for urban sustainability, but in order for it to achieve that potential it has to be more than just a public transport mode. We have to think about more than just mode share or the peak passengers per direction per hour. BRT has to be part of a restructuring of transportation and urban space. The goal of this book is to illustrate the opportunities it provides along with our research addressing the challenges of meeting this potential. It is organized into three sections: institutional relationships, BRT in the city, and operations and design. 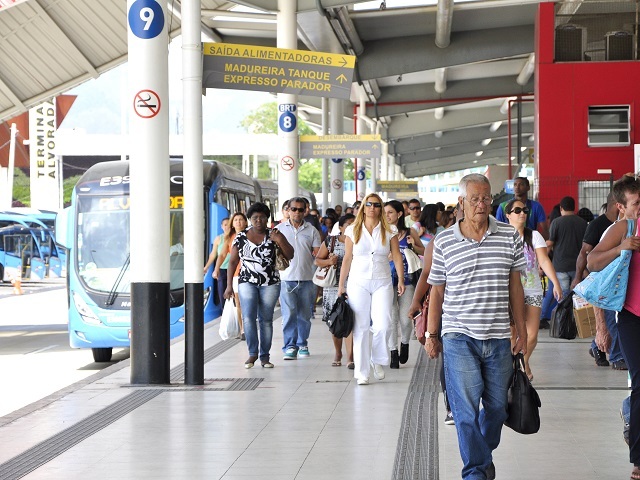 BRT is being used as a tool in the formalization of informal transit and this requires significant changes to institutions and the development of new capacity for the public sector. It transforms the relationships between the private operators, government authorities, and civil society. In addition to new challenges, these changing relationships create opportunities, such as an increased role for public participation and the setting for a debate about the proper level of subsidy and fares. The second section recognizes that any changes to the public transport network take place within a complex urban context. From city-level to the individual passenger-level, change is hard. Even for just a single corridor, political power and perceptions of BRT shape the choice of mode and conflicts over public space for mobility. In both developing and developed cities it is a challenge to coordinate land use planning around public transport corridors. For passengers, new service means having to learn new routes and this requires the design and implementation of a passenger information system. The third section examines the issues in operations and design. Clearly there are challenges to creating a surface rapid high capacity transit system, regardless of the type of city it is located in. But new technology is also bringing opportunities; for example, automated data collection can improve service efficiency, planning, and real-time information to users. Well-planned network design can increase capacity and reduce transfers. The switch to a formal system can improve working conditions and the efficiency of scheduling vehicles and driver shifts. An analysis of performance on BRT corridors can determine the factors that increase boardings, speed, reliability, and safety. We would like to highlight that the book has been written so that all of these different elements interact and connect, providing a comprehensive view based on a multidisciplinary approach. What should we expect from BRT in the near future? In the future, BRT must not surrender its need for rapidness. Rapidness allows it to provide not just a fast trip, but also a low waiting time, and permits it to become a high capacity transport mode. Speed is not just good for users, it also increases operators’ productivity, therefore reducing its cost. To provide rapidness, a segregated busway is often needed. Also, high demand stations must be equipped with off board payment facilities, stations must not be too close to each other, and overpassing lanes must be provided. The special infrastructure needed for BRT speed triggers two concerns: safety and urban impact. When BRT is adequately designed it usually reduces traffic crashes in comparison to having buses operating in mixed traffic. An ordered flow of buses and cars should also be easier to understand for pedestrians. It is important to avoid the temptation to make pedestrians take flyovers to reach stations. Instead, buses and vehicles are the ones that must stop to allow pedestrians to cross at ground level. Regarding its urban impact, BRT may seem an intervention that is too large for cities. Still, when we think of the space taken by BRT infrastructure we should also consider how the space would be distributed otherwise. The space needed for mobility reflects the mobility needs of rush hour traffic. Of course, the space taken from the city for rush hour mobility stays fixed. So it is very important to have efficient solutions during peak periods. Cities must make public transport and non-motorized transport as attractive as possible. The alternative based on cars takes significantly more space, not just along the corridor, but in local streets and parking as well. When we compare BRT and Metro, one of the aspects in which BRT is way behind is reliability. To earn the respect of public transport users and of citizens, BRT must overcome this important hurdle: it must be not just fast, but reliable. We need BRRT, Bus Rapid and Reliable Transit. Also, during off peak periods BRT must incorporate schedules so users can plan their trips while transfers are adequately coordinated. The world is seeing more and more automated cars. We also have driverless Metro. I think we will see driverless BRT very soon—at least while the buses are in the corridors. It will help to keep regular headways, stick to schedules, dock smoothly at stations, implement eco-driving and reduce crashes. It seems that the industry is already realizing the opportunity here. BRT is often built according to a trunk and feeder network. This may be effective for reducing costs, but it forces passengers to transfer. So we need to reduce transfers by implementing open BRT corridors, and run multi-corridor services. We also need to improve the design of the transfer experience to make it less exhausting. We can turn this experience into one of culture, commerce, and fun.